when I started my business over twenty years ago I made my fair share of mistakes from choosing a business name to designing a business card. As it turns out the person who trained me knew nothing about business because that person was me. I was absolutely clueless about what I was doing. Sure there were handbooks and small business courses that where available to me, but what they taught me was limited by the teacher or the author. Sometimes what is laid out in a course is not really what is pertinent to your business and what is in a book is only a gathering of information that the writer feels you should know. Really we need to learn by experience, whether it is from our own experience or the experience of an expert in our field. After all it is difficult to ask the question that we do not know we need to ask and that is exactly the way it is with a general course or a book that covers a large topic such as small business. I only wished that I knew someone in the jewelry business when I first started so they could direct me to the questions that I didn't know I needed answers to like how to design a business card. There is more to a business card than just aesthetics. A business card has function and before you have ever designed one you likely have never experienced one in action or at least paid attention to one in action. My first mistake in designing a business card was not including a product image. Although I do need to let myself somewhat off the hook because this was before digital cameras and snapping a photo was not quite as convenient. 7 tips on how to display jewelry. Hey! 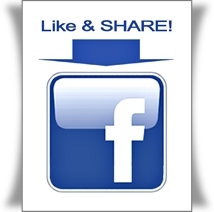 Click below then like us on our Facebook page where I will have some great jewelry business tips to share with you in 2014!